We were created by an infinitely creative God to reflect his love and character to the world. One way we do that is by continuing his creative work. 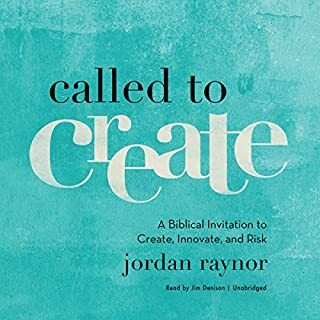 In this energizing book, serial entrepreneur and best-selling author Jordan Raynor helps artists, entrepreneurs, writers, and other creatives re-imagine our work as service to God and others, addressing such penetrating questions as: Is my work as a creative really as God-honoring as that of a pastor or missionary? Will what I make today matter in eternity? Where does Called to Create rank among all the audiobooks you’ve listened to so far? 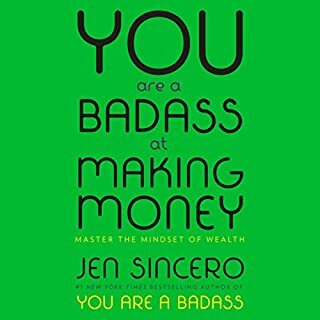 I've listened and read to what feels like thousands of business-related books on entrepreneurship, creative industries, hustling, crushing it, scaling, you name it. This is the only book I've read where I felt an actual meaningful connection to what the author was talking about; feelings of absolute relevance as a Christian entrepreneur. I've prayed and long searched for a book just like this and now here it is. Wow. Jordan Raynor has an undeniable gift. His outlook on Christian entrepreneurship is like Dave Ramsey on dollars. This guy knows what he is talking about! What was one of the most memorable moments of Called to Create? There were many points in the audiobook where I had to hit pause, rewind and play it back and hit pause again like "Woah. That was a truth bomb if I ever heard one" but I think one of the most memorable points in this book was when Raynor would reveal other Christian-owned businesses that I had not previously known about such as Chick-fil-A and TOMS shoes. Definitely made me feel like I was in good company! What does Jim Denison bring to the story that you wouldn’t experience if you just read the book? Now this is where I wish I could fib a little bit. The book itself was/is SO good. It was everything I had hoped for as a faith-based book on creative business. Unfortunately the narrator didn't do the content justice. It seemed a little flat for what was a very enlightening book. The narrator seemed disconnected from the content. There was no excitement! I would have loved to have listened to this book as read from the author, of course, but I feel like even a more youthful tone could have made this audiobook even better. I wanted to sit and listen to this in one day. Unfortunately the narrator's voice had me drifting off at times so I had to break it up over a week. If I had read the physical book, I would probably keep reading until the wee hours. I'm just waiting for the Called to Create course because I know the Called to Create journey can't possibly end here! 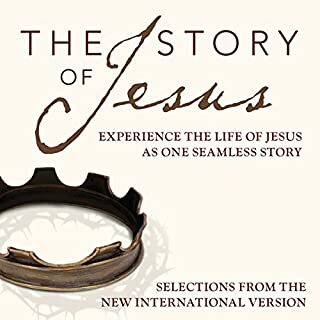 Where does The Story of Jesus, NIV rank among all the audiobooks you’ve listened to so far? This is the first biblical audiobook I've listened to and I really enjoyed it. It was easy to listen to and I enjoyed the background music and dramatization of the voice actors. This is a must-listen for any Christian. It's cohesive arrangement makes this audiobook very easy to listen to in order to fully understand the teachings and good works of Jesus.